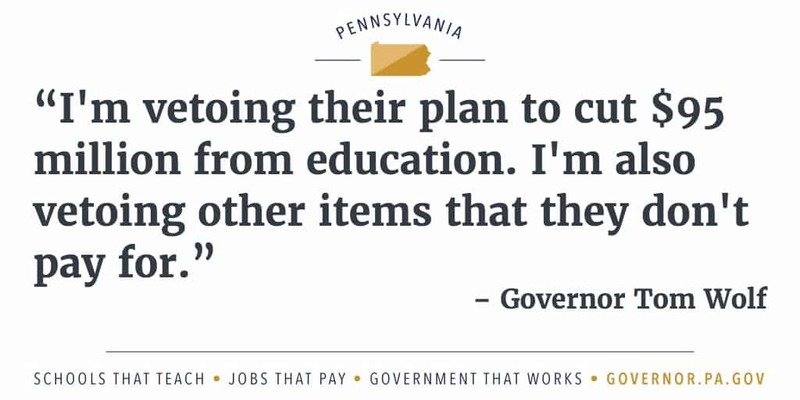 Governor Wolf’s remarks on Republican cut to education, as prepared. 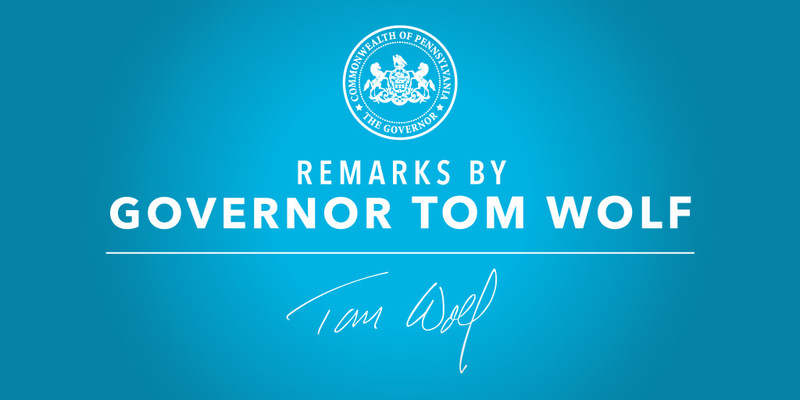 Governor Tom Wolf today rejected the Republican budget that cuts $95 million from education and is out-of-balance, while directing emergency funding for key services. 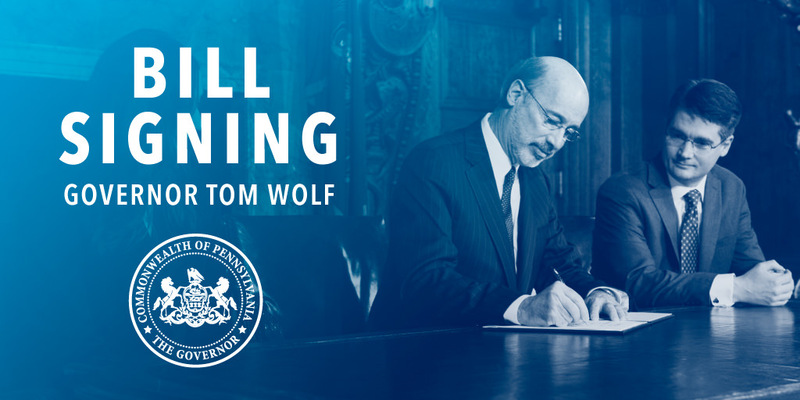 Harrisburg, PA – Governor Tom Wolf today signed six bills into law. 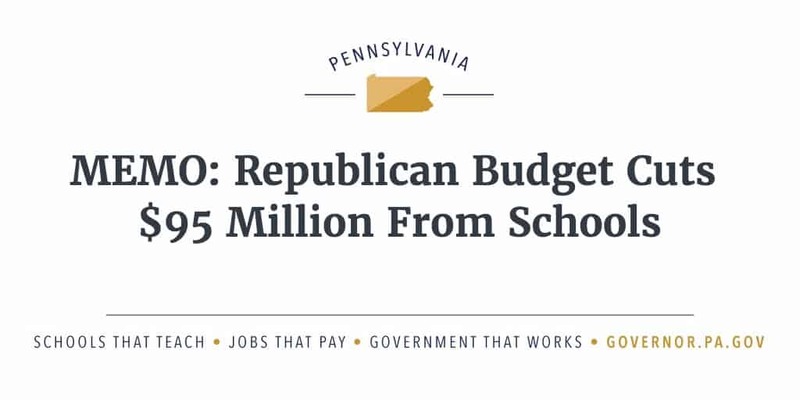 The Republican budget is another display of fiscal irresponsibility that will lead to a $95 million cut to local schools. 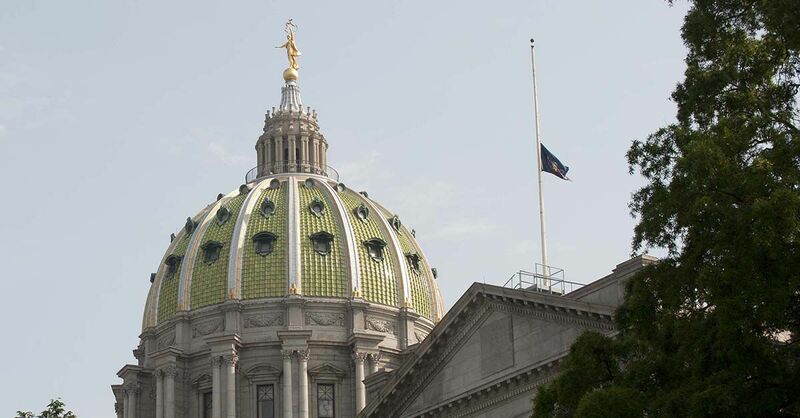 Harrisburg, PA – Governor Tom Wolf has ordered Commonwealth flags at commonwealth facilities statewide to fly at half-staff to honor former First Lady of Pennsylvania Mary Scranton.